Why is it that natural gas sells in the U.S. for $3.94 per 1,000 cubic feet and in Europe and Japan for $11.60 and $17, respectively? Part of the answer is our huge supply. With high-tech methods of extraction and with discovery of vast gas-rich shale deposits, estimated reserves are about 2.4 quadrillion cubic feet. That translates into more than a 100-year supply of natural gas at current usage rates. What partially explains the high European and Japanese prices is the fact that global natural gas markets are not integrated. Washington has stringent export restrictions on natural gas. Naturally, the next question is: Why are there natural gas export restrictions? Just follow the money. According to OpenSecrets.org, The Dow Chemical Co. "posted record lobbying expenditures last year, spending nearly $12 million, and is on pace to eclipse that number this year." The company has spent hundreds of thousands of dollars contributing to the political campaigns of congressmen who support export restrictions. Natural gas is a raw material for Dow. 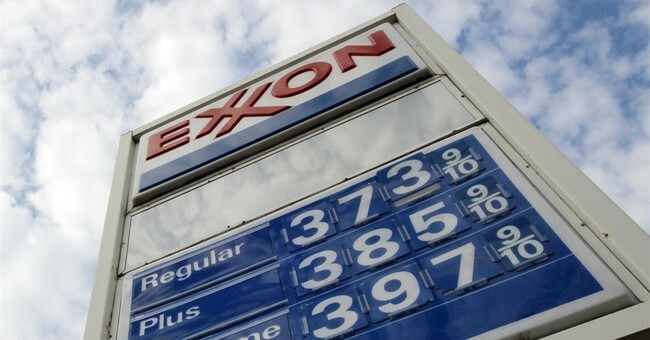 It benefits financially from cheap gas prices, which it fears would rise if Congress were to lift export restrictions. Dow argues, "Continuing optimism for U.S. manufacturing is founded on the prospect of an adequate, reliable and reasonably priced supply of natural gas." Of course, Dow and other big users of natural gas get support from environmentalists, who are anti-drilling and anticipate that export restrictions will serve their ends. Big natural gas users and environmentalists have foreign allies, suggested by the statement of Saudi Prince Alwaleed bin Talal, who told Saudi Arabia's oil minister, Ali al-Naimi, that rising American shale gas production is "an inevitable threat." Nigeria's oil minister, Diezani Alison-Madueke, agrees, saying that U.S. shale oil is a "grave concern." In light of these foreign "concerns" about U.S. energy production, one wonders whether foreign countries have given financial aid to U.S. politicians, environmentalists and other groups that are waging war against domestic oil and natural gas drilling. It would surely be in their interests to do everything in their power to keep the West dependent on OPEC nations for oil and gas. Natural gas producers would like to export some of their product to Europe and Japan to take advantage of higher prices. One effect of those exports would be to raise natural gas prices in the U.S. and lower them in the recipient countries. Industrial giants such as Dow, Alcoa, Celanese and Nucor are members of America's Energy Advantage, a lobby group that says it is unpatriotic to allow unlimited natural gas exports. It argues that export restrictions keep natural gas prices low and give U.S. manufacturing companies a raw material advantage, which allows them to produce goods at lower prices. I'd like to ask Dow, Alcoa and other companies that lobby against natural gas exports whether their argument applies to them. After all, they ship a lot of their domestic product overseas. For example, Alcoa exports tons of aluminum. Export restrictions on aluminum would lower domestic aluminum prices, thereby benefiting the aircraft industry, as well as making other aluminum-using manufacturers more competitive. Unfortunately, I doubt whether Alcoa would see it that way. In general, it is poor economic policy to encourage domestic American industry through costly and inefficient methods such as export restrictions. But there's another effect of the natural gas export restrictions. The huge supply and resulting low prices have begun to act as a deterrent to future energy exploration and production. According to a Wall Street Journal article by Dr. Thomas Tunstall, research director for the Institute for Economic Development at the University of Texas at San Antonio, titled "Exporting Natural Gas Will Stabilize U.S. Prices" (May 29, 2013), natural gas production at three major shale oil fields in Texas has flattened out at 2012 output levels. Tunstall concludes, "Over the long haul, market dynamics -- which include the ability to export without undue uncertainty or restriction -- will best manage global supply and demand curves for natural gas." I agree.